Global pharmaceutical outsourcing services provider PCI Pharma Services (PCI) has announced a laboratory expansion at its site in Tredegar, Wales. The Tredegar facility is PCI’s development and manufacturing Center of Excellence with specialist expertise in the processing of highly potent molecules. The site has undergone significant investments over recent years; this latest project ensures analytical capacity and capability to service increasing customer demand. 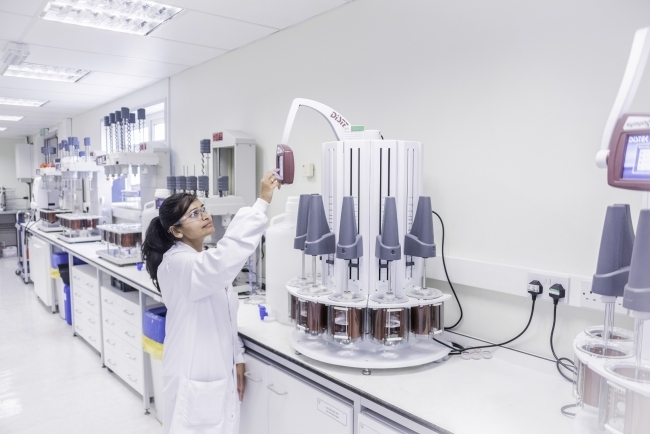 The investment will see PCI’s laboratory increase its analyst headcount by approximately 60 percent and increase its High-Performance Liquid Chromatography (HPLC) capacity in excess of 20 percent, in addition to tripling its capacity for sample receipt. The layout design of the facility incorporates state-of-the-art Lean philosophies and optimized safety, combined with leading ergonomic principles, to deliver enhanced throughput and additional efficiency improvements. Since launching its contained manufacturing facility utilizing the latest in containment technology at Tredegar, the site has seen significant growth in its global customer base. This latest project will ensure that PCI is able to service both existing and potential new clients, as well as offering a project initiation in terms of analytical transfer within 4-6 weeks. The site offers a true Center of Excellence for the development and manufacturing of pharmaceutical products in a variety of dosage forms and has over 30 years of experience in the specialist handling of potent molecules. Investment in state-of-the-art contained equipment, combined with the creation of a ‘Potent Passport’ philosophy to identify the specific handling requirements for every Highly Potent Active Pharmaceutical Ingredient (HPAPI) project, defines PCI as a market leader within this space. Contained technology includes Xcelodose® micro-dosing for early stage development drug-in-capsule (DIC), fluid bed granulation and roller compaction for products sensitive to heat and moisture.